Sometimes God delivers us from and other times He delivers us through. Daniel was delivered through. He stood in the lion’s den and God didn’t allow him to be consumed (Daniel 6). He sent angels to shut the mouths of the lions. It was a said of Daniel, “They could find no corruption in him, because he was trustworthy and neither corrupt nor negligent,”~Daniel 6:4b. Daniel was obedient to God, yet he was still thrown into the lion’s den. God did not prevent the incident, He showed Himself strong in the midst of Daniel’s circumstances. “Is it true . . . that you do not serve my gods or worship the image of gold I have set up?” Nebuchadnezzar asked Shadrach, Meshach, and Abednego (Daniel 3:14). Shadrach, Mechech, and Abednego were thrown into the fiery furnace for refusing to worship an idol. They were thrown in bound. The fire was so hot it consumed the guards who took them into the fire. Yet when they looked at the men in the fire, they saw another man in the fire and they were not consumed. They were unbound and walking around. When they came out they did not even smell like smoke (Daniel 3). When the Israelites where fleeing Egypt with Moses the Lord parted the Red Sea for them. The power of God parted the deep waters. Once His people were on dry ground, the Lord then allowed those waters to drown Pharaoh’s army (Exodus 14). The Lord said to Moses, “My people will know that I am the Lord, when I have gotten the glory over Pharaoh, his chariots, and horseman,”~Exodus 3:18. These are just three stories in the Bible where God delivered His people through the challenge or obstacle. He didn’t remove the obstacle, the challenge, or adversity. He stood in the fire. He closed the mouth of the lion. He parted the Red Sea. Sometimes God will allow you to be challenged so He can show Himself strong on your behalf. Without a problem, there’s no need for a miracle. The Spirit of God is one of an overcomer. There are things we can only learn about God when He’s the only One who can help us. There’s an intimacy (knowing) that occurs in the challenging seasons of life. You learn to pray. You learn the intensity of God’s love. The power of His healing and comfort. You learn the very heartbeat of God as you cry out to Him in the midnight hours. The closeness of God forged in those seasons cannot be snatched from you. I walked through a 10 year season of what I would call the 7 levels of hell. But God! In my life I’ve had 7 near death experiences, including being trapped in my car under water. 911 never came for me, yet God performed such a miracle to allow an already flooded engine to turn over for 60 seconds to get me out. Others left me to die, but God didn’t. I watched my mum suffer for 7 years; surgery after surgery…we lost the house, car, so much. But God made a way out of no way. Not one day was spent hungry. I watched both my parents battle cancer. One healed. One died. I endured 4 years under intense persecution from my manager. Human resources did not help me. God stepped in and she eventually gave her life to Jesus. I’ve been sick and healed by God. Lost friends, been lied on, gossiped about, betrayed, but God intensified my friendship with Him. He fortified my identity as His daughter and friend. I’ve been placed in many situations where no human could or would help. Been left to die, but God! You see, I’d never know His power without those encounters. You learn the comfort of God in the seasons where your heart is wrenched with grief and no human is willing to wipe a tear. People are great yet they do not trump God. You learn to lean. You learn His voice. You learn the power of God to sustain you and keep your mind. God becomes your best friend. He is my best friend. Sweet friends, no matter what you’re facing…I want you to insert the words, “But God.” He makes a way out of no way. He is the resurrection and the life. He is the alpha and the omega! He is the everlasting God. He speaks and the world must respond to Him. Heaven is His throne and the earth His footstool. He can do more in a moment than we can in a lifetime. Is anything too hard for Him? The answer is no. So, I say to you what He says to me, “Come to Me all who are heavy and laden and I will give you rest. You can trust Me. I will work this for good. 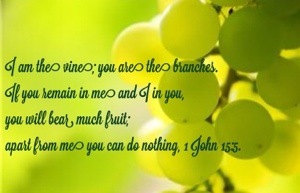 Abide in Me. My strength is made perfect in your weakness.” And sometimes all He says is, “I love you.” His love is like no other. He longs to be known by us in every season; to be our source. God loves you more than anyone ever could. 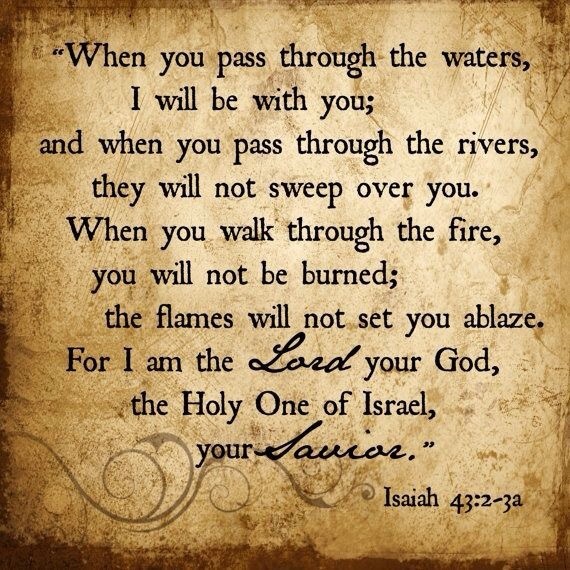 If you’re in the fire, the lion’s den, the deep waters, God will not forsake you. This too shall pass. He gave Job double for his trouble. God is a restorer of ruins. He takes ashes and makes them beautiful. Praying for you. May your intimacy (knowing) of God go deeper than it ever has before! You are deeply loved (John 3:16). For if we have been united with him in a death like his, we will certainly also be united with him in a resurrection like his. For we know that our old self was crucified with him so that the body ruled by sin might be done away with,a that we should no longer be slaves to sin—because anyone who has died has been set free from sin. Now if we died with Christ, we believe that we will also live with him. For we know that since Christ was raised from the dead, he cannot die again; death no longer has mastery over him. The death he died, he died to sin once for all; but the life he lives, he lives to God, Romans 6:1-10. For the Lord disciplines the one he loves, and chastises every son whom he receives, Hebrews 12:6 and Proverbs 3:12. I recommend reading the entire book of Romans in one sitting. I have included parts of Chapter 6. There’s a scary phenomenon I’ve seen on blogs and some Christian websites that say because we are saved by faith we can live however we want. It’s true God allows us to make choices. It is incorrect that God approves of a lifestyle of sin. God never approves of sin. He forgives our sins. When we confess our sins and seek repentance, He washes away our sins. God is 100 percent holy and just. There would have been no reason to send Jesus to the cross if He were okay with us living any way we want. Sin carries with it the penalty of death, but the gift of God is eternal life (Romans 6:23). Someone without sin had to pay for our sins. Jesus did that for us so we could be raised from spiritual death to life. God did what we could not do. And the righteousness of Jesus is imputed to those who believe by faith and follow Him. Following Jesus involves obedience, not to earn righteousness or approval, but out of love for Him. Jesus said, “If you love Me, you’ll keep My commandments,” John 14:15. God loves us no matter what we do. His love is agape, unconditional. He does not approve of or delight in sin. He never has and never will. It violates His nature as holy. 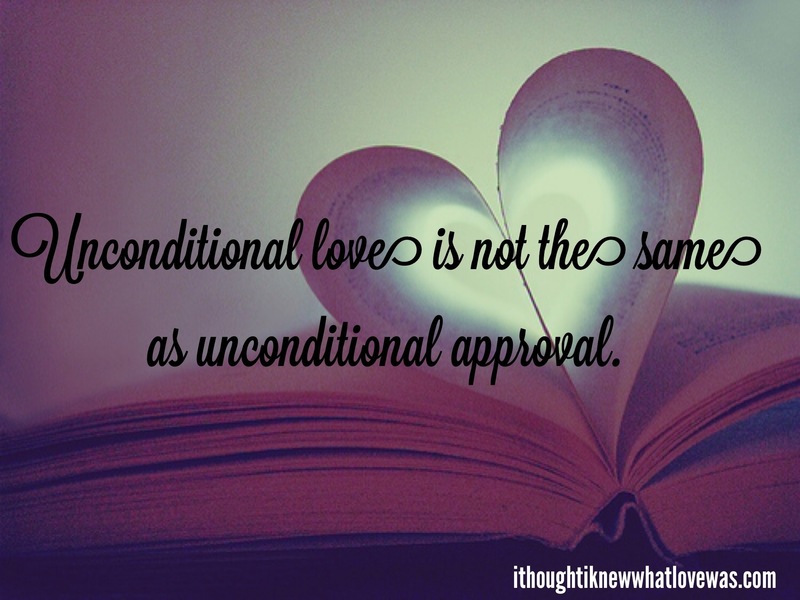 His unconditional love is not unconditional approval. Jesus didn’t throw away the law, He fulfilled it and gave us His Spirit to empower us to live differently. Being born again means being given a new nature. We are no longer slaves to sin and sin becomes uncomfortable or unnatural. Just as a human parent does not approve of their child disobeying, getting in trouble, abusing others or themselves, God does not delight in evil. He wants the best for us. He corrects us knowing sin is destructive. He’s not out to get us, but to help and protect us. Adam and Eve didn’t listen and we are still suffering from their choices. Sin is not our friend. There is nothing we can do to make God love us more or less. Out of love He corrects us and leads us away from sin. He never approves of sin. Grace empowers us to live righteous lives because of Christ in us. He changes us from the inside out. Following Jesus includes making Him Lord over every area of our lives. God doesn’t come to shame or condemn, but to convict and restore. Jesus died for our freedom from sin! Sweet friends, no matter the struggle, if our hearts long to follow Jesus, the Holy Spirit will lead us on a path to becoming like Him. We don’t strive, we abide and follow. God loves us too much to leave us the same. If we harden our hearts it can lead to destruction (Romans 1:28). It is in our best interests to submit to God in every way. As for you, you were dead in your transgressions and sins, in which you used to live when you followed the ways of this world and of the ruler of the kingdom of the air, the spirit who is now at work in those who are disobedient. All of us also lived among them at one time, gratifying the cravings of our fleshand following its desires and thoughts. Like the rest, we were by nature deserving of wrath. But because of his great love for us, God, who is rich in mercy, made us alive with Christ even when we were dead in transgressions—it is by grace you have been saved. And God raised us up with Christ and seated us with him in the heavenly realms in Christ Jesus, in order that in the coming ages he might show the incomparable riches of his grace, expressed in his kindness to us in Christ Jesus. For it is by grace you have been saved, through faith—and this is not from yourselves, it is the gift of God— not by works, so that no one can boast. For we are God’s handiwork, created in Christ Jesus to do good works, which God prepared in advance for us to do, Ephesians 2:1-10. One man paid the price so all could know God intimately. All who believe in Him and follow Him will inherit not only eternal life, but every spiritual blessing in heavenly places. What is so magnificent about grace? Grace is God’s gift to us and it reaches beyond what our minds can comprehend. When we understand all that God has given us, we live differently. We respond to Him differently. Grace can be scandalous in our eyes because God reaches from on high to save the lowest of the low. I heard someone say once,”Grace is offensive to the self-righteous and seems too good to be true for the sinner. ” You see, God’s grace is not earned. We can not do enough good works to earn His favor. We are not good, He is good. We can take no credit for His favor on our lives, nor can we deny grace and mercy to those we deem unworthy. 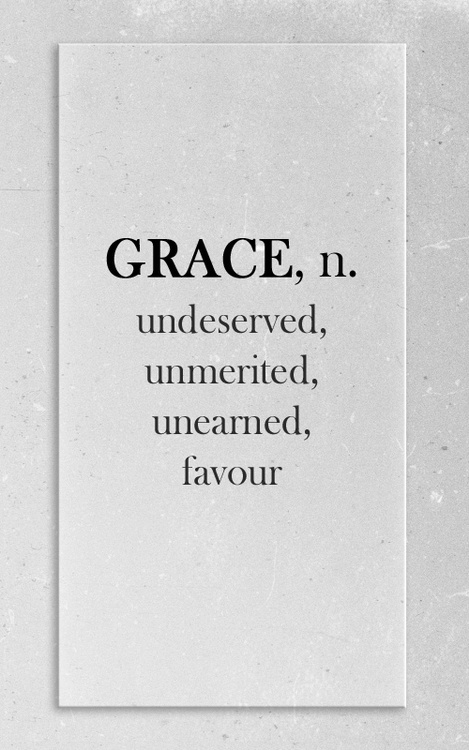 God’s grace is unmerited. We are recipients of His grace by faith alone. We can not add to it or take away from it. God’s grace covers a multitude of sins and washes away the most putrid stains. What manner of love is this that God would grant us favor based solely on what He has done, not on who we are or what we have done? Grace is opposite of our culture. We live in a culture that says, “Only the strong survive!” The world says, “If you want it, you have to earn it!” We favor, bless, honor, cherish, and love the loveable, the wealthy, the famous, the “good” people, those with titles, gifts, talents, and fame. God extends His favor to the poor, the wretched, the weak, the forgotten, the sinner, the worst of sinners, and those willing to believe Him. He takes the lost causes and creates something beautiful. Grace not only saves us, it enables us to do His good will and pleasure. We can not in our own strength and effort save ourselves. We cannot do all that He asks us to do without His help. He said, “My grace is sufficient for you. My strength is made perfect in your weakness,” 2 Corinthians 12:9. He encourages us to rest, rely on, depend on, and submit to Him. His yoke is easy, and His burden light (Matt 11:30). Grace is not a license to live as we please. Paul explains it to us in Romans 1. I also think of what it cost God to save us. The Father gave His Son. The Son gave His life. Jesus left Paradise. He entered the world through the most humble of circumstances. He walked the earth for 33 years making friends and enemies. He was tempted in every way and did not sin. 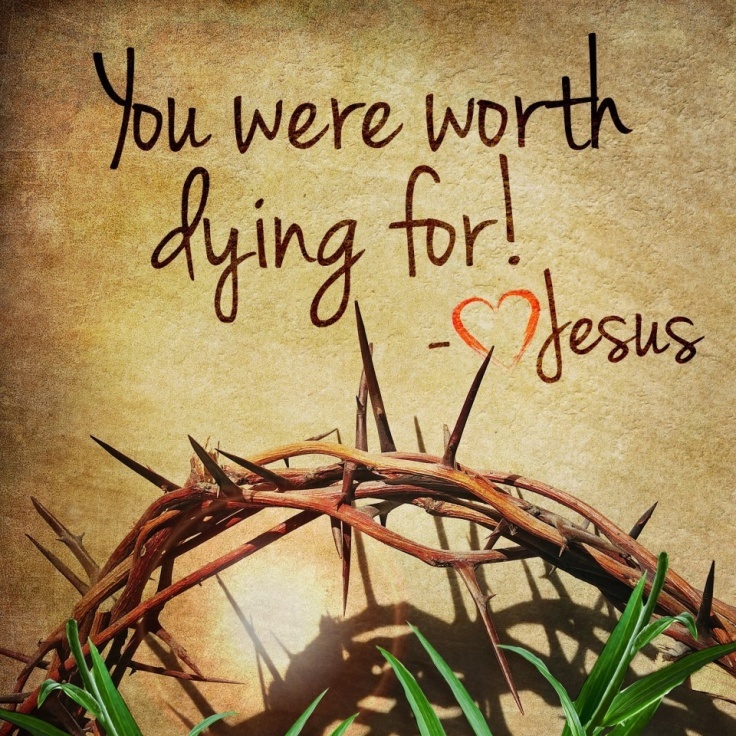 He chose to endure an excruciating death, all for love. When we think about what our cure cost Him, how can we willingly choose a life of sin? We entered into a relationship and covenant with God. When we love someone, we want to do what is right by them. We want to cultivate a healthy relationship based on love. How can we choose another love that leads us to destruction? He is the best thing that could happen to us. My dear sweet friends, it truly is…Amazing Grace! Love in Him,~Erin. All the world seems to be looking for love. We were created to desire love, affection, affirmation, relationship, and the void in us is not easily filled. God set it up so no person on this planet has to be alone. People are born into families. Not only are we born into families, we are birthed with a great opportunity to know the Creator of the Universe. I am often amazed that God, as perfect as He is, wants to be friends with us. He wants us to be recipients of His great love, forgiveness, and to adopt us as His children. I mean seriously, He can do whatever He wants. He could create the world’s perfect best friend or person. Yet, He chose and chooses to dwell with sinful man. God was not lonely before creating man. The Father, Son, and Holy Spirit all existed long before we did. God did not need us, He wanted us. There’s something to be said about being wanted. No matter how awful we are or have been, we are here because God loves us. We are here because He cares for us. We are here because He had and has a great plan for our lives. We are no mistake! He created us to be recipients of His great love. We were made to be loved by Him. Praise be to the God and Father of our Lord Jesus Christ, who has blessed us in the heavenly realms with every spiritual blessing in Christ. For He chose us in Him before the creation of the world to be holy and blameless in His sight. In love He predestined us to be adopted as His sons through Jesus Christ, in accordance with His pleasure and will—to the praise of His glorious grace, which He has freely given us in the One He loves. In Him we have redemption through His blood, the forgiveness of sins, in accordance with the riches of God’s grace that he lavished on us with all wisdom and understanding, Ephesians 1:2-7. No matter who we meet on this journey, there will not be anyone who loves us more than God. There will not be a person who will sacrifice all that they are for our best interests. It’s not going to happen. My earthly father is wonderful. I have no doubt he would do all in his power to protect, provide, and be there for me. However, I do not believe he can or would do all that God has done for me. While I was a sinner, Christ died for me. No greater love in the entire world, than the love God has lavished on us. We may not always feel His love. We may not always see His love. 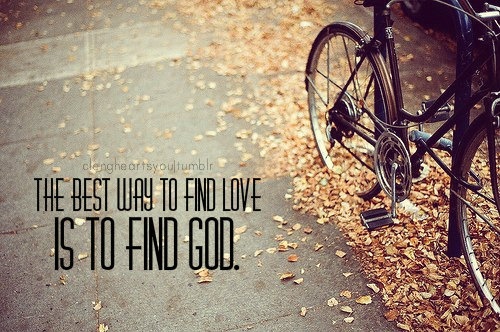 We may not always believe in His love, but the truth is, God is love. 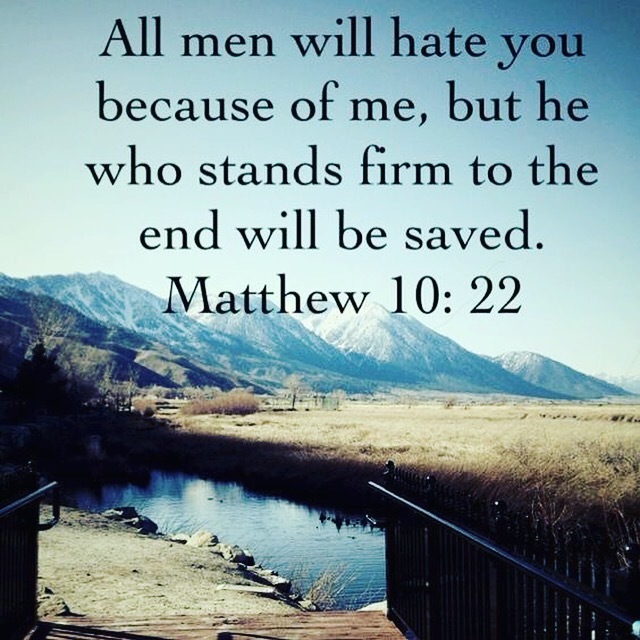 Every day He pours out His love, mercy, grace, forgiveness, compassion, and wisdom on a world that rejects Him, denies Him, abuses His name, and blames Him for all that goes wrong. If that’s not love, I don’t know what is. I as a human, I grow tired of loving people who I know will never love me. I grow weary in turning the other cheek and responding in kindness to people who are cruel. God, however, is infinite in patience and love. Love is who God is. The Lord is compassionate and gracious, slow to anger, abounding in love, Psalm 103:8. You are forgiving and good, O Lord, abounding in love to all who call to you, Psalm 86:5. I will tell of the kindnesses of the LORD, the deeds for which He is to be praised, according to all the Lord has done for us–yes, the many good things He has done for the house of Israel, according to His compassion and many kindnesses, Isaiah 63:7. Though the mountains be shaken and the hills be removed, yet My unfailing love for you will not be shaken nor my covenant of peace be removed,” says the LORD, who has compassion on you, Isaiah 54:10. Some don’t hear God’s voice; it’s challenging to be in a relationship with someone you can’t hear. I will say if you are a born again believer, you can hear from God. Pray and ask God for the ability to hear from Him. You can have a relationship with Him that is as close and intimate as you would like it be. As Jesus said, “My sheep listen to my voice; I know them, and they follow Me,” John 10:27. Even if you don’t hear from God directly speaking to your spirit, you can hear from Him through His Word (which is the best place to start and He does not violate His Word. He increases our understanding, but does not violate His Word). God also speaks through dreams, visions, others, and sometimes our circumstances. Lastly, here are the words God deposited in my heart today. I love you more…I love you more than you can imagine. You are My workmanship, created for My glory. I chose you. I wanted you. I have never left you, and I will never leave you. You are an extension of My heart. Where you are, there I am. You are a part of Me. There is nothing that can separate you from My love. There’s nothing you can do to make Me love you less or more. My love for you extends from before the world was made into eternity. It is a love that cannot be broken. Your name is written on My heart. You name graven on My hands. I move heaven and earth to care for you. You are My beloved. You will always be My beloved. Sweet friends, these words apply to you as well. God loves you. He is for you. His heart cries out again and again, I Love You More….Praying God blesses you richly and abundantly this year, above all you could ask or imagine. Love, Erin.